Sometimes customers or clients just won't pay. No matter how many statements you send out, even if you take the customer to small claims court, you may not get your money. But there is a way to make lemonade from this lemon of a customer. If your business has already shown this amount as income for tax purposes, you may be able to reduce your business income by the amount of the bad debt. A bad debt or uncollectible account is a receivable owed by a customer, client, or patient which the business owner or creditor is not able to collect. 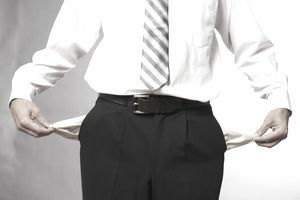 Bad debts may be written off by the creditor at the end of the year if it is determined that the debt is uncollectible. Bad debts are taken off the business income at the end of a year. In order to write off bad debts, your business must use the accrual accounting method. Under this method, you show income when you have billed it, not when you collect the money. If your business operates on a cash accounting basis, you can't deduct bad debts because in cash accounting you don't record the income until you have received the payment. In this case, you just don't receive the income, so there is no tax benefit to recording a bad debt. You sell $1000 of products to a customer. Under the cash accounting method, you only record the sale when you receive the money from the customer. If the customer doesn't pay, you don't record the sale. So, at the end of the year, if you haven't been able to collect the money, there is no bad debt because there is no sale recorded. Under the accrual accounting method, you record the sale at the time you billed the customer. So your sales records for the year include the $1000. If you determine that you are not going to be able to collect this $1000, you must manually take the amount out of your sales records before you prepare your business tax return. Remember, you will need to run your business on the accrual accounting method to be eligible to take deductions for bad debt losses. Here are the steps to writing off bad debts at the end of a year. You must wait to the end of the year, in case someone pays. Prepare an accounts receivable aging report. An accounts receivable aging report shows all the money owed to you by all customers, how much is owed, and how long the amount has been outstanding. Total all bad debts for the year. You will need a list of all customers who have not paid during the year. You should only make this determination at the end of the year, and only if you have made every effort to collect the money owed to your business. Include the bad debt total on your business tax return. If you file your business taxes on Schedule C, you can deduct the amount of all the bad debts. Each type of business tax return has a place to enter bad debt expenses. In the same manner as cash accounting, you can't record a bad debt expense deduction if you don't get paid for a service. You may have a receivable, but you must collect the receivable in order to record the income. No income recorded, no bad debt.